Good move. You've contacted us and are scheduled to see an array of homes in the area. But where to stay while you home shop? Here are a few places to give you that special Hudson Valley experience. A truly luxurious escape, The Villa at Saugerties is a Mediterranean modern oasis located in the Hudson Valley's Catskill Mountains. Walking along the grounds you will come to love this meticulously renovated 4-bedroom retreat. With amenities that include Egyptian cotton sheets, a 40-foot pool, a mini-vineyard, air-conditioning, wi-fi, satellite TV, multi-course breakfast and gourmet barn dinners – The Villa at Saugerties redefines what a bed and breakfast can be. 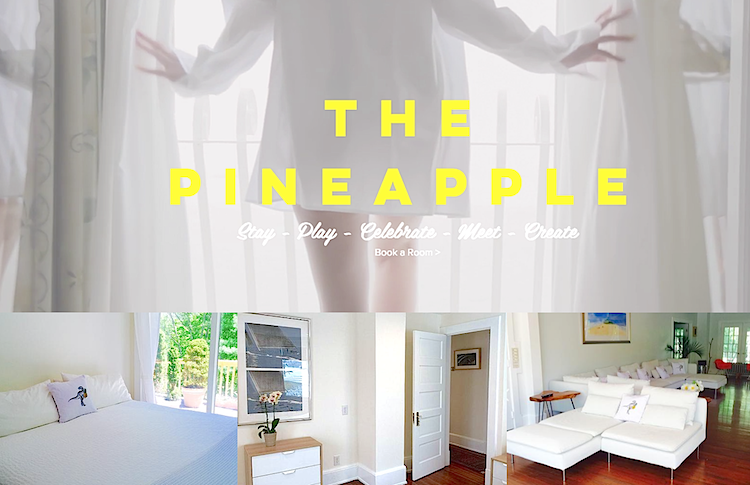 The Pineapple - a gracious 1900 Queen Anne house, lovingly and imaginatively restored to create a creative, contemporary space with fine art and decor for the perfect getaway surrounded by scenic woodlands. Enjoy the ambiance of the lovely ensuite room or you can book the entire space. You'll find a rocker-lined front porch and a large deck with BBQ and a bar out back. The Pineapple is pet-friendly and offers many on-site amenities including an outdoor jacuzzi and fire pit, an indoor sauna, fireplace, and free wi-fi. You can also make arrangements for special gourmet meals or take a quick stroll across the road is the delicious, fine dining restaurant, The Red Onion. And, next door to that, the lovely Glamour House spa for special pampering. 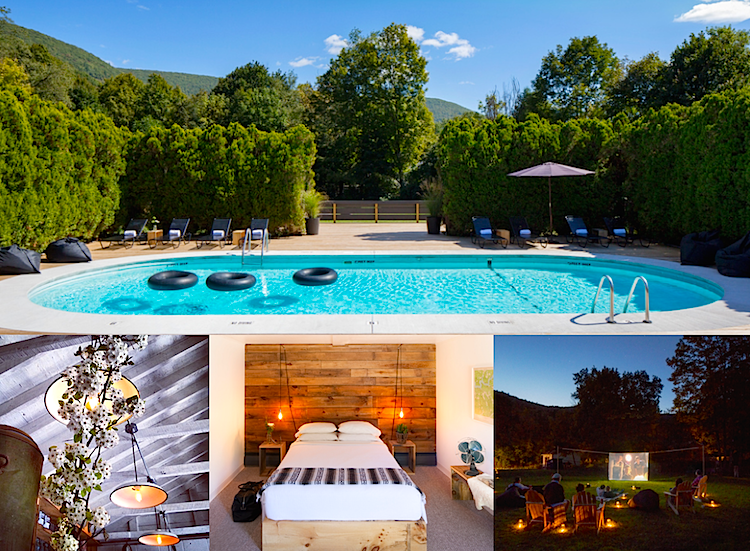 Inspired by the heritage of the Catskills, the Graham & Co. is a modern take on the classic weekend getaway. Located at the foot of Hunter Mountain and just two blocks off of Phoenicia’s main street, approximately 2.5 hours from New York City. You’ll find over 3 acres of activities featuring a swimming pool, hammocks to lounge in, a badminton court, a fire pit, picnic area, bikes to explore on and plenty of places to relax with a cocktail. Close to hiking, fishing, tubing, and skiing, The Graham & Co. is a perfect place to stay through all four seasons. 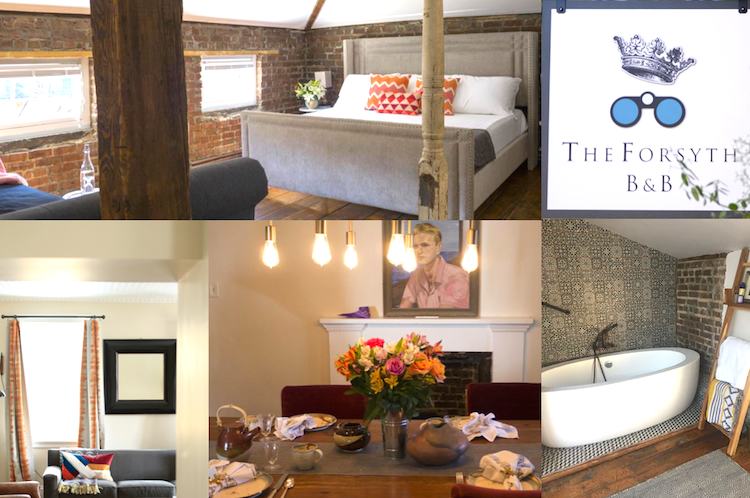 The Forsyth, Kingston's first boutique B&B, is the perfect home base for the modern explorer. One block from the historic Rondout waterfront and minutes to the natural, cultural and historic wonders of the Hudson Valley. 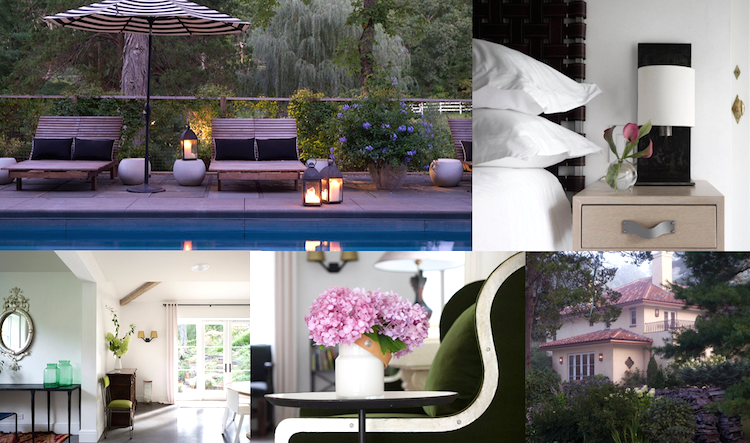 Newly renovated rooms with private baths marry history and modern design. A creative, seasonal breakfast, a "must do" according to vogue.com, is prepared daily by their chef/innkeeper and served on the porch, in the courtyard garden or by the fire. Each of the four guest rooms is named for some of the world’s great adventurers and explorers. All of the guestrooms have new, private bathrooms outfitted with thick, fluffy towels and organic bath and skincare products made locally. Come visit upstate NY. We'll be happy to show you around the area, view some great properties, help you find your dream home! Give us a call, we're excited to hear from you.